How Old Is My Apple - Crunch on some of these facts! Home → Health → How Old Is My Apple? Ever wonder, “How old is my apple”? Is it good food – is it good for you? We ask that question all the time. One thing you can do to identify freshness and quality of the produce you are eating is find out when it was cut, and where. This gives you an a clear understanding of how fresh and nutrient rich your produce is. When most people think about nutrition, an apple comes to mind…. One thing became clear. They had a limited time to get apples from their suppliers, but somehow they provided them all year long to their customer base. “How do you provide them all year long?” I asked. “Oh that’s the great part,” he said. “We keep them at just the right temperature, add a certain gas spray to them, and they can last a year or more!” My jaw dropped. After looking into it further, we were astonished that this was a common practice. We learned more about these “birthday-apples” as some people call them. How do they keep apples that long without them rotting? Are apples good for you if they are a year old? It is hard to say what nutrition is still contained in the apple you are pulling from the shelf a year after it was harvested. Typically fruit has been eaten within its harvest season for thousands of years. As soon as anything is picked, plucked, or pruned off its source, the live enzyme count, nutrient profile, and antioxidant quality begins to diminish (please see article: The Uncut Vegetable). While these apples may look shiny and still taste delicious, it seems they might not nourish you the same way as when grandpa pulled them from the tree many years ago. So how old is my apple? We can only guess, really. Finding local suppliers for produce is becoming more and more pertinent. We suggest you do your research. There are many scholar reviewed articles out there discussing carcinogenicity, and toxicity if you want to look into it further. 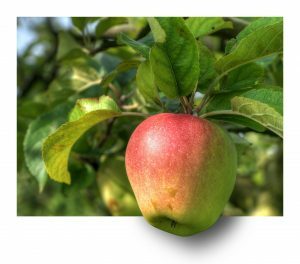 If an apple is in that environment for so long, it is sure to absorb its surroundings (ever had an apple from a fridge that tasted like something else from the fridge?). We suggest that you buy local, buy organic, and know where your food comes from. Also, get to know the produce manger at your store. They can be a wealth of information. See if they know about “birthday apples”. Sprouts are a great way to get high density nutrition when you can’t find it from other sources. Look for our organic sprouts in your local store, as they are still alive, full of nutrition, chlorophyll, vitamins and enzymes. They are the uncut vegetable. And yes…. it is true. We don’t treat our sprouts with anything other than care, light, and water.